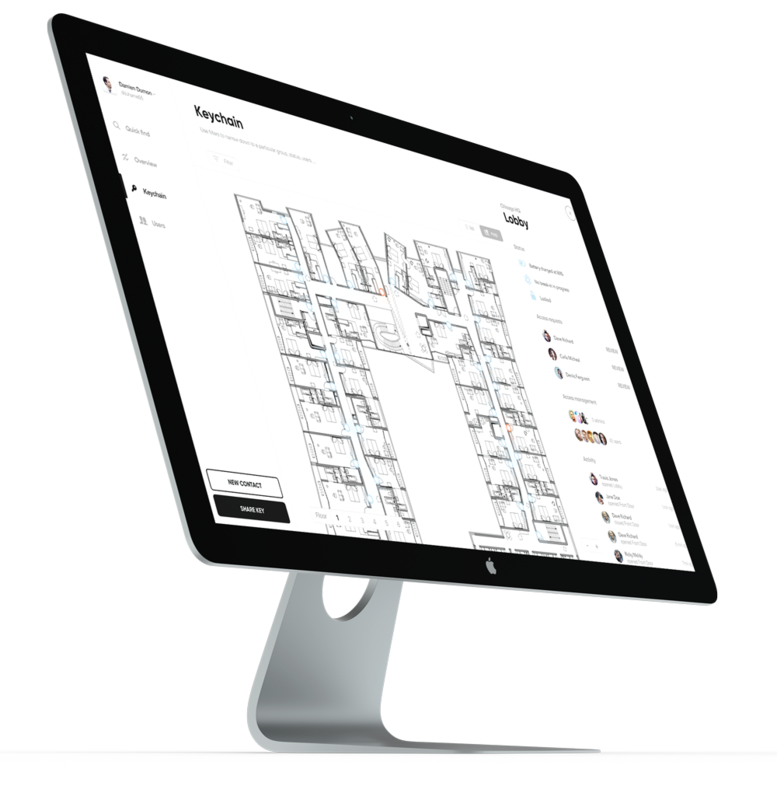 Our control panel showcases the most important information live, so that you can focus on your job while being sure your building is smoothly running. 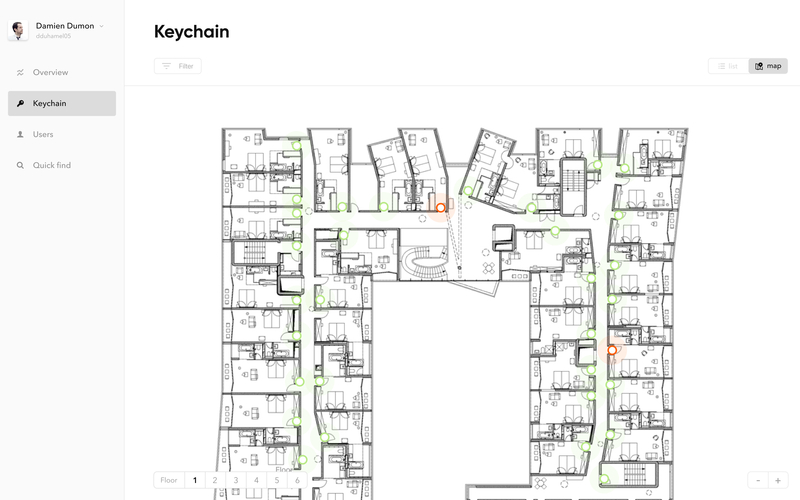 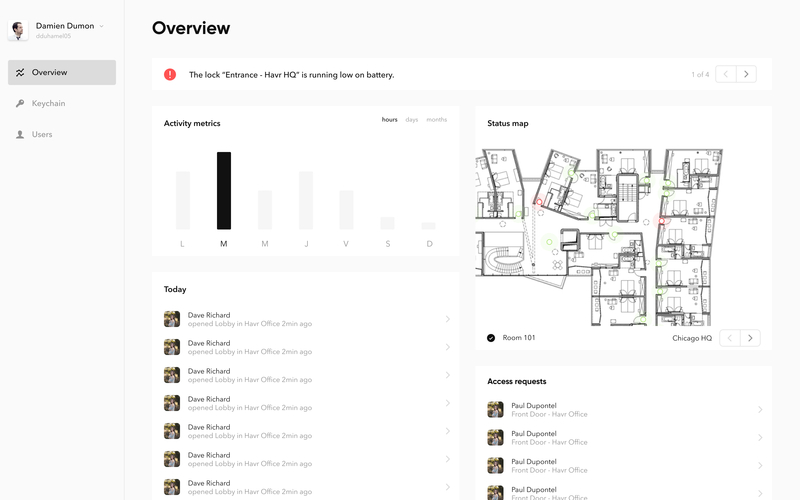 For the first time ever, you can add your building map, place your keys, and manage all your keys at a glance. 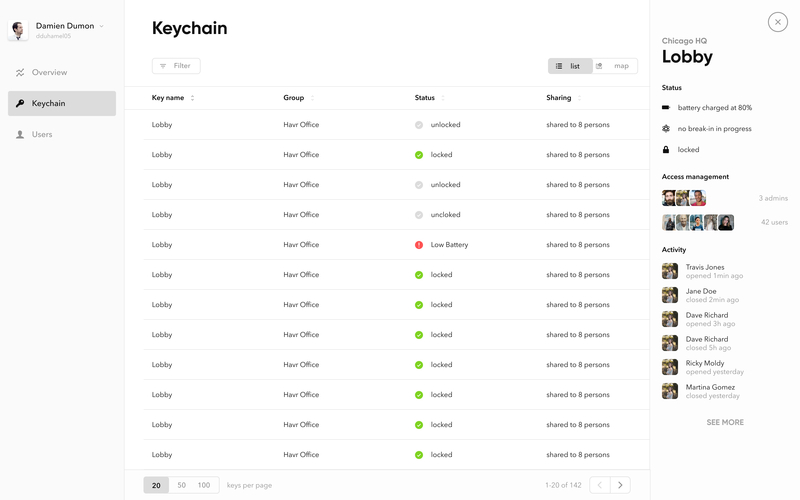 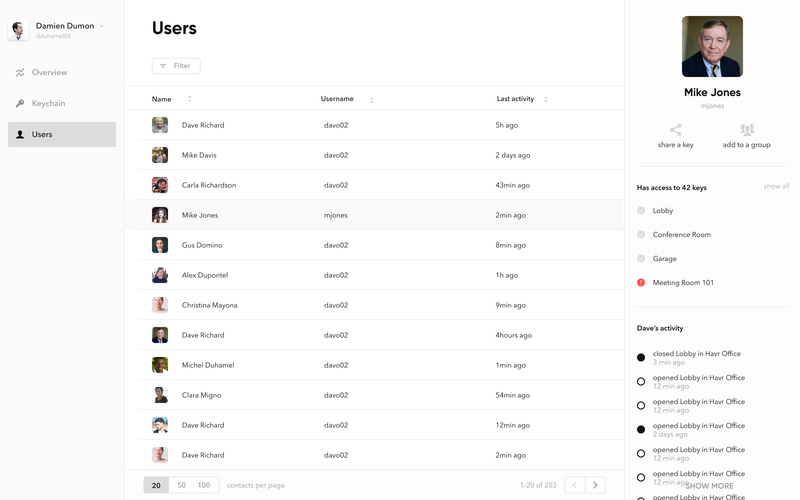 Easily manage users and groups of users, see their activity, and share keys to them.